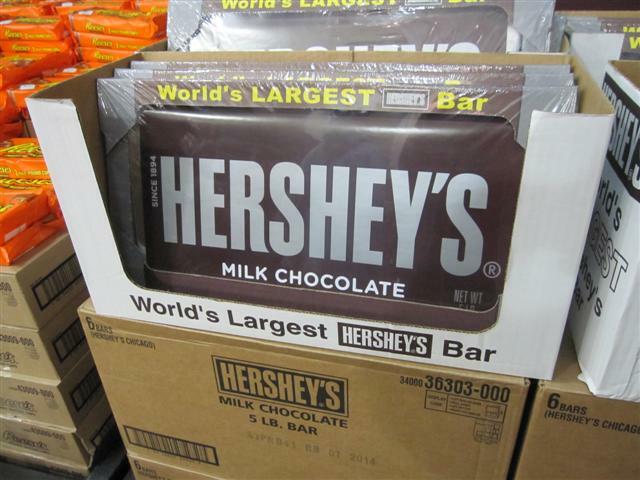 But it’s the retail area where you find the BIG stuff, like the world’s largest Hershey’s Bar, York Peppermint Patty, Twizzlers, and Reese’s peanut butter cups. In the new XOXO section devoted to Hershey’s Kisses, the entire back wall was covered with bins featuring different flavors— we lost count at 15—like Cookies N’ Creme, Mint Truffle, and Candy Cane. Mean Mommy made her put it back on the display. Don’t even get me started about the Bake Shoppe. I’m so glad to see a new post, I was beginning to think I wasn’t on your list any longer! This sounds like a dangerous place to go with the winter doldrums! Can you say 5 pounds I don’t need after the holiday gorging?!?! Great to “hear” from you again! Yay. We’re glad to see something new on the BIG front. You may be a mean mommy, but I think you made the right decision making your daughter put back the Twizzlers (or any candy for that matter which is as big as her entire upper torso). Got sweet tooth but I don’t know how to exactly eat those BIG BIG chocolates! 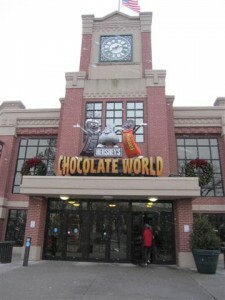 I would love to go to Hershey’s Chocolate World! I am only one state away, and I would take the chance to go there during this summer! My sweet tooth would go insane, and I bet yours did also! 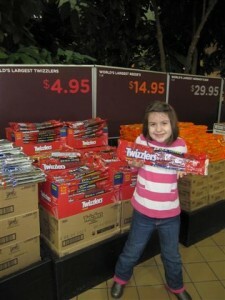 I took my family to the February “Chocolate Covered Favorites”. My kids were shocked. We didn’t tell them where we were going. Some of the treats included a chocolate dinner at Hotel Hershey, there were teas for children that were covered in chocolate, (I guess that goes without saying), a chocolate tasting adventure at the Hershey’s World Attraction, and my wife had some spa time which included chocolate. I was amazed that we could find things to do in the dead of winter at Hershey’s Park. 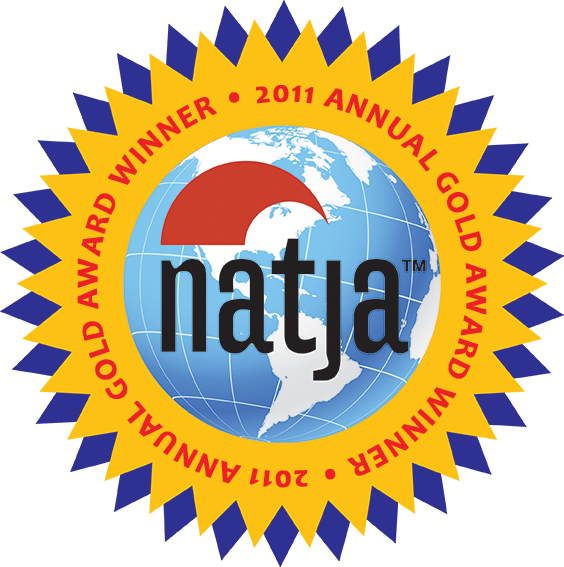 That’s one of the reasons I love Hershey so much…there really is stuff to do all year long there! Sounds like you had fun!